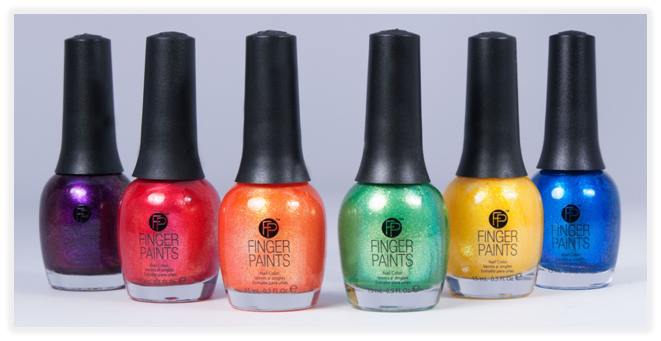 This summer, FingerPaints came out with one of the best rainbow collections ever! Shades included are Wild Bikini, Be My Baby, Aloha Lei, Margarita Mambo, Hula Aruba and Surf's Up. FingerPaints Poolside Paradise Collection is a LIMITED EDITION neon bright, high impact micro-metallic polish with supreme sparkle and shine! Have fun in the sun with this captivating nail color range in sun striking summer shades! Electric neon-like hues decorated with vivid glass pearl radiates in light for an eye catching effect and maximum shine.